Hello, first of all let me introduce myself. 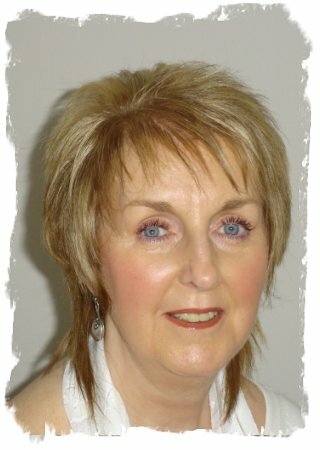 My name is Margaret Craig and since 2001, I have been the Reiki Evolution Reiki Master/Teacher responsible for running Reiki training courses in Glasgow. 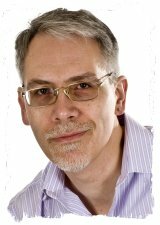 I host First and Second Degree courses every month, and Reiki Master Teacher courses a few times a year from my base in Glasgow. I love and enjoy running Reiki classes and am particularly excited and enthusiastic about the Reiki Evolution approach to teaching. This differs immensely from the way in which other Reiki teachers previously taught me. My courses are very informal and friendly. There are no more than six students at each class, which gives me plenty of time to interact with each student. I feel this is of utmost importance. Over the years, I have participated in Reiki training courses where there are 12-20 students and sometimes more. Students are crammed into one room, scribbling away frantically trying to keep up with what the Teacher was saying only to leave the completed course feeling very dissatisfied and isolated. I decided then, that if I were ever to teach Reiki, class numbers would be kept small in order to offer my students the best learning environment possible. I strive, therefore, to keep our courses enjoyable and relaxed. There is no frantic scribbling of notes, and everything that the student is required to know for the courses is available in the materials. Each student brings along their own unique gifts to the courses, which in turn adds a distinctive flavour and variety to each of my classes. My approach to teaching and learning Reiki is to keep it simple, and to maintain this simplicity and gracefulness, I endeavour to echo Usui Sensei’s teachings as much as is possible in a Western culture. I am passionate that my students receive a high quality of training, and that they are aware of the beautiful and graceful methods which Usui taught his students while he was here. This is all clearly written and explained in Taggart’s manuals and CDs. Unfortunately, some of the books you may read on Reiki are still passing on fabled stories of Usui Sensei going up a mountain and “being hit by a ball of light”, and receiving Reiki. This couldn’t be further from the truth! I endeavour to pass on the authentic history of Reiki to my students – the story of an ordinary man who achieved extraordinary things and who left the legacy of a healing system than can be shared by all. We are very fortunate in receiving authentic Reiki training methods from Japan via Chris Marsh, and some of Usui Sensei’s surviving students, regarding Usui Sensei’s life and his teachings, and this is what we strive to echo at our courses. Having been a Reiki Master/Teacher for quite a number of years, I truly feel that Reiki Evolution offers a deep and enriching form of learning. Taggart’s materials are a joy to read and to listen to, and in all my years of working with him, I have heard only praise from the students regarding the teaching materials. My Reiki Shares are designed in a way that encourages the sense of “oneness” which Mikao Usui taught, and as I have said earlier, I do my best to echo these teachings. Regardless of the level each student is working at, we all have something valid and very precious to offer at the shares. We are all students of Reiki and we can learn so much from one another. From the feedback I receive about the Reiki Shares, I know that these regular get-togethers are, indeed, warmly welcomed. Some Reiki students can feel quite isolated initially, especially if they don’t have the opportunity to practice on others. The shares provide this opportunity, and it can be a great confidence booster, especially when you realise that you are still channelling the energy. You haven’t lost it – it’s with you for life. In group conditions the Reiki energy is very powerful. And finally, of course, we have lots of fun! My Reiki teaching practice had started quite a while before I became an Associate Reiki Master/Teacher with Reiki Evolution. I had previously trained with different Reiki Teachers over the years in Traditional Reiki and also in Karuna Reiki, and I taught both methods of Reiki for a number of years, at all levels. I met Taggart King when I went to Aberdeen to do a course with him in Original Usui Reiki in 2000. The rest is history. I had finally found what I had been searching for, within the Reiki world – simplicity, gentleness, humility, gracefulness, humour, elegance, and kindness. All this, and a wonderful Reiki Teacher to boot!!! How blessed can one soul be? After a year, I re-did all of my Reiki Training with Taggart, and shortly afterwards Taggart asked me to become an Associate Teacher with him at Reiki Evolution in 2001. There have been many wonderful changes taking place in Reiki Evolution. It continues to expand and grow, and there are now many other Associate Reiki Teachers in different parts of the U.K. offering these wonderful courses. It is very exciting and fulfilling to be part of all of this. In 1995, I was completing the advanced part of a Holistic Aromatherapy Course. My tutor brought in a Reiki Master/Teacher to give us a short talk on Reiki. I had never heard of Reiki before. Five of us decided to go ahead and train in the First Degree of Reiki. It was all very lovely and relaxing, etc., but I did not really experience any whistles and bells or flashing lights. At that time I was already a registered Spiritual Healer with the National Federation of Spiritual Healers and the Reiki energy felt very similar. After about six months, I decided to shelf the Reiki for the time being. Five years later, Reiki came into my life yet again, with such power, that this time there was no getting away from it. I completed Reiki Two, and my whole life started to transform in a way which I would never have thought possible. I had awakened!!! I was now conscious!!! And I couldn’t get enough of it. A magical enchantment had entered my life and it seemed that all of my five senses had been heightened. Colours were sharper, music was blissful, and I was taking time to stop and smell the flowers, so to speak. Life was much softer and my Soul was dancing in celebration. I kept asking myself, “Is this really happening to me?” And yes, change was taking place at all levels. I was discovering this beautiful light within and all around me. I was content and at peace for the first time in my life and others were noticing this change. I progressed to Master level and trained with other Reiki Master Teachers over the years, yet was still searching for that unexplained feeling of something missing? I then went on to do full training in Karuna Reiki and became registered with the William Rand Centre in America. Since then Reiki has gently guided me to train in other systems of healing, though my primary work is in hosting Reiki training courses, teaching Reiki Healing. Reiki is fundamental to everything which I do in my life. It assists me to walk through life’s challenges, giving me the tools to rise above anything that could deplete me or make me feel less than I am. Just for today, I am confident and strong in my Spiritual power, because I know that I am a Spiritual Being having a human experience. My reality is in the Now. Reiki has taught me this, along with Usui’s teachings. But this is my experience. We all have our own unique experiences on our Reiki journeys. Reiki will only work for the highest good. I can thoroughly recommend Reiki to anyone who is searching for something deeper and more meaningful in their lives. Usually the first thing that occurs is the development of a more “laid back” approach to life, feeling more relaxed about everything. We could all do with some of that at times in our lives, could we not? Bringing Reiki into your life can be transformational. It can add depth and richness to your journey in ways which you could never have imagined. I feel deeply privileged and honoured to be chosen to do this work. It has brought immense peace and joy into my life, and it is an on-going journey of self-discovery and deep contentment. Words are never adequate in describing this beautiful connection which I have to this loving and intellent energy. Reiki is working quietly and constantly with me, always. Isn’t that wonderful? If I can be of any further assistance then please feel free to contact me at any time.